Major tip of the hat to Alert 5! 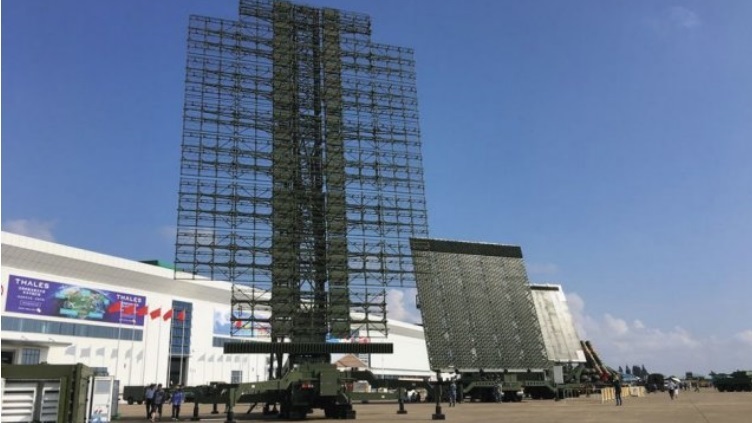 China may have deployed its YLC-8B UHF anti-stealth search radar on Pintan Island, Fujian Province. Satellite imagery from Google Earth suggests the radar was only installed this year. Developed by the No.14 Research Institute of China Electronics Technology Group Corporation (CETGC). The radar is claimed to be able to detect stealthy aircraft at a range of 350km. This practically covers almost all of Taiwan. The USAF might not admit it. Stealth fan boys might not admit it. But the truth is out there in open source materials. Shaping stealth has had its time in the sun and its days are rapidly coming to an end. Not only is Russia building anti-stealth radars, but so is China, and even the US. Russian and Chinese radars are for export too! We haven't even begun to talk about what the Europeans are doing (across the board too...individually and collectively). The US and its Allies seem to believe that superior information will make up for a lack of firepower. Will it? I don't know. Can superior information (networking/sensor fusion) defeat massed armor, artillery barrages? Are we building a vulnerability that will be exploited by the enemy...easily exploited?